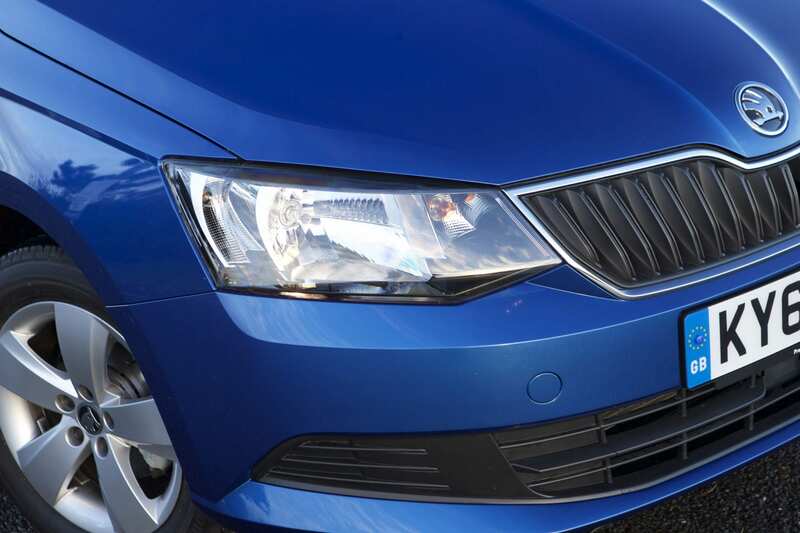 While admitting to being a Skoda fan, Iain Robertson is generally enamoured by the all-new Fabia model but feels that quality improvements in many areas are not matched by a smattering of major demerits in others. When the first generation Fabia first hit our roads in 1999, I became an instant supporter. All traces of pre-VW Skoda had been all but eradicated, even though the revitalised, Czech company ethos was very much in evidence, for which I felt grateful. In fact, so pleased was I with the car that I actually bought the very first Fabia registered in the UK. It was my personal car for the next two years. The Mark One was epitomised by a classically elegant and timeless profile that had been penned by the same designer that created the gorgeous Bentley Continental and there were some signature styling elements that appeared in both cars, even though they were at opposite ends of the manufacturing spectrum. Later models were also available in a wider and even more attractive range of finishes. Subsequently, I bought an (almost) iconic Fabia vRS, renowned for its mating of the 130bhp turbo-diesel engine in a subtly-enhanced and sportier frame. When the second generation Fabia arrived in 2007, I moved onto an Octavia vRS for personal transport, a factor of which I was glad, as the Mark Two model’s appeal had lessened for me. Instead of the lovely, soft-touch dashboard, it was produced from a hard plastic moulding with some soft-touch elements added. However, the slightly ‘Essex girl’ appearance also put me off the hatchback. Following some mid-life model revisions and a slight change of personal direction (my 2010-plated Octavia vRS had its electrical system disturbingly ‘consumed’ by rodents, while parked in my driveway), I was able to swap into a Fabia S2000. This rare (25 only in the UK) variant of the car featured a 228bhp version of the vRS model’s 1.4-litre, twin-charger petrol engine (both super- and turbocharged) that delivered simply stunning performance (0-60mph in 5.8 seconds; 158mph top speed; 45mpg; £145 VED). Interestingly, I replaced it with my current Citigo SE almost 18 months ago. With the latest, third generation Fabia now available, I have to say that it is a significantly better looking car. While not as elegant as the Mark One, it fits with the current Skoda style, with the increased use of sharp creases and smarter lines overall. It also appears to sit better on the road; much better and less ’stiletto-ey’ than the regular Mark Two (the lowered suspension of the tuned versions did remove the ‘high heels‘ appearance). However, I was immediately struck by and disappointed with the extensive use of harder plastics for the interior trim. Apart from the large expanse of grey dashboard, the white trim inserts and the unforgivingly hard door-card tops, the interior, while possessing a better appearance, remains cold and clinical. I am not disputing the build quality, which is at a level of excellence that we have become familiar with from Skoda but, rather, the tactility of it, which is sorely lacking. In this respect, Skoda is going backwards to Felicia days, which is not a good thing. Dimensionally, the new Fabia is only slightly bigger than its forebear, although it feels significantly larger and more accommodating inside. 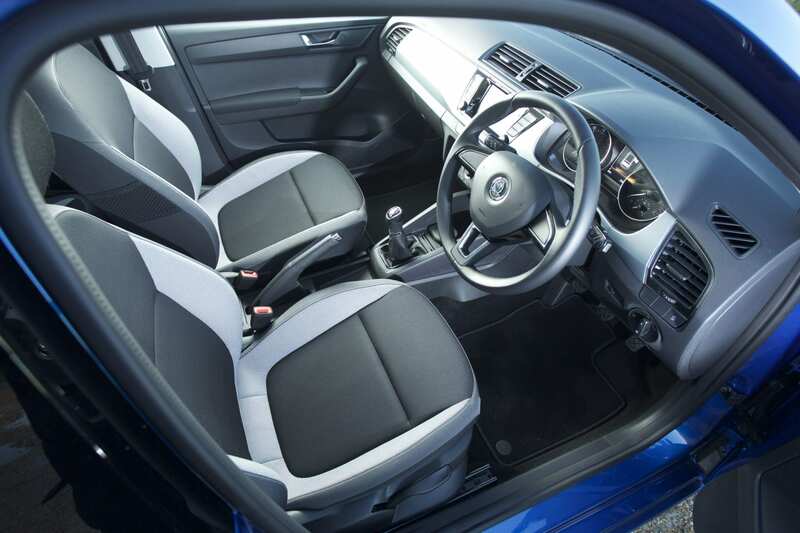 Access to the cabin, always a Fabia strongpoint, remains excellent but the range of adjustment for the rake and reach of both steering column and driver’s seat have been improved slightly. The resultant driving position is fantastic and makes the equivalent VW Polo and the Seat Ibiza models feel very cramped by comparison. The instrument layout is neat and well specified, with smart graphics for the information box between the two main dials for speedometer and rev-counter. The new style steering wheel, leather wrapped in the SE-L trimmed test car, is not only comfortable to heft but also enhances the great feel from the driver’s seat. 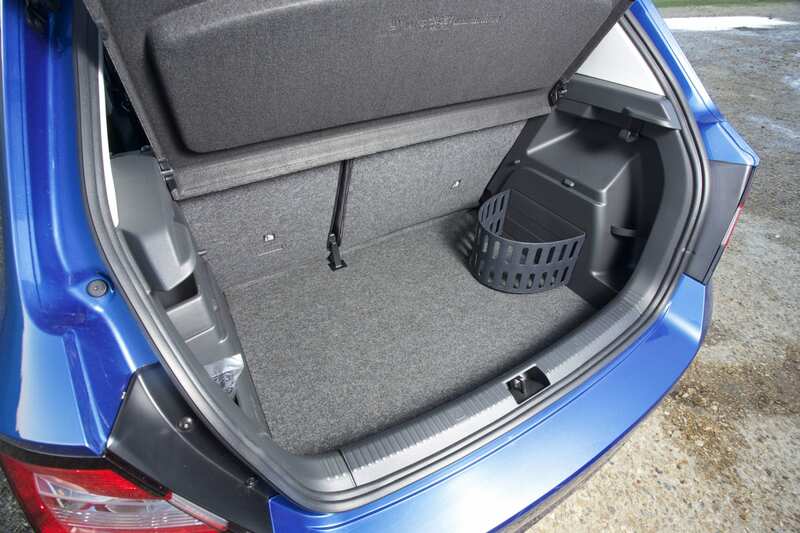 As ever, the Fabia offers more head and shoulder room than any of its rivals and there is even the option of a panoramic glazed sunroof, should it be specified. Located within the centre of the dashboard is the new ‘Mirror-Link’ stereo head unit that also doubles as a control centre for several of the Fabia’s other functions. 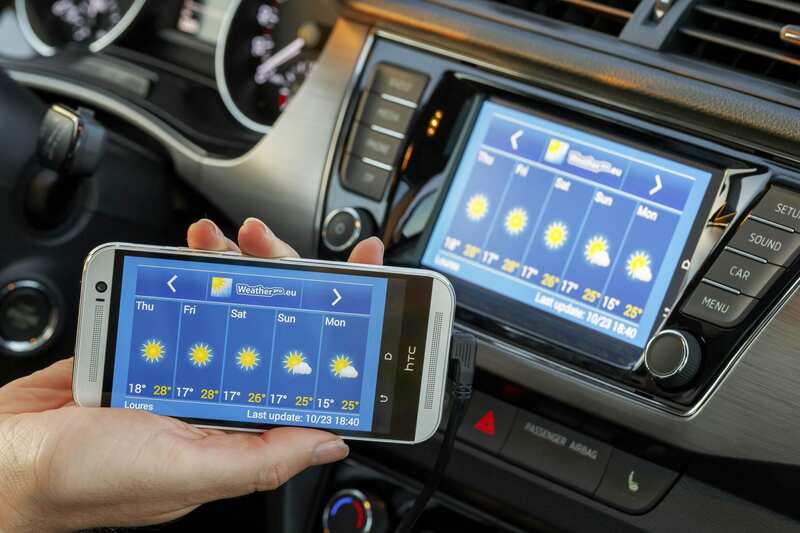 Interestingly, Skoda has determined that incorporating sat-nav is no longer necessary, as most Android mobile-phones might have a suitable device in-built. While this might be okay in some cases, I believe it to be unnecessary corner-cutting and the system does not (as yet) make connection with iPhones, which is a silly error of judgement. As usual, my mobile would not link-up with the car’s Bluetooth connection, which I find perpetually annoying, as doing so in my Citigo is simplicity itself. Since DAB (digital audio broadcasting) has become de rigueur in a growing number of new cars (Skoda has never been a pioneer in ICE), I was keen to listen to the new system. While its sound reproduction was very good, the system lost signal so readily, more so in built-up areas, that it obviated its usefulness and I found that my music listening pleasure was eradicated. More bad marks on the Fabia’s score-card. 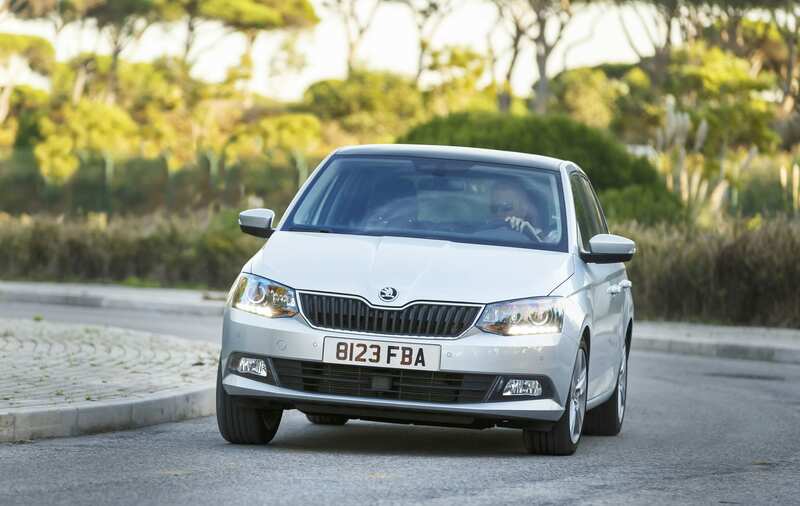 Despite boasting a mere 90bhp from its 1.4-litre TDi engine, the performance of my test Fabia was outstanding. It logged a 0-60mph sprint in a sparkling 10.8 seconds, far swifter than I expected, before coursing on to a top speed of a (reported) 113mph, which ensures that this version of the Fabia is well up with its rivals. 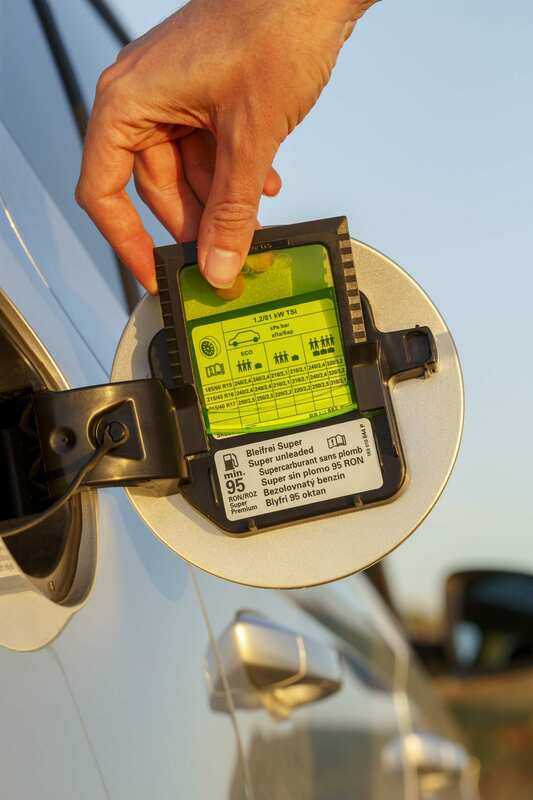 However, an excellent CO2 emissions rating of 88g/km sends this model into the realms of tax-free eco-friendliness, which is perfect for environmentalists everywhere. The 83.1mpg Official Combined fuel figure is a bit tougher to swallow, as I struggled to attain much more than 56mpg, although I am sure that a few decent, lengthier trips might have increased that figure to in excess of 60mpg. Still, all players in this class need a ‘headline-grabber’, so why should Skoda be any different? I wish that I could state that the promised ‘smoothness’ and refinement I have come to expect of VW’s small capacity diesels was matched by the 5-speed manual gearbox. The ‘diesel effect’, which means that you dare not slip much below 1,000rpm in higher ratios, let’s say, when slowing down for a traffic snarl-up, or coming to a halt, before the engine complains, was highlighted by my stalling the car twice during its tenure with me! It was most disappointing and would underscore the relevance of opting for the 7-speed DSG automated transmission instead, which would also improve mid-range pull (by filling in gaps between the gears) and overall progress significantly. The new Fabia’s deportment was excellent. It rides sublimely, in the way that all Skodas do. Yet, its roll resistance, lack of suspension squat and dive and its ability to keep all four tyres in contact with terra firma are unquestioningly superb. There is enough grunt from the diesel engine to promote wheelspin from take-off but the standard ESP and traction control system keeps everything in check. The car’s brakes are fantastic, hauling up smartly from fairly high speeds without a loss of directional stability. As suggested earlier, cabin access is brilliant and the new trim (in the test car) of grey and pale blue, also known as Jeans Blue, is unusual, stylish and of first-rate quality. There are enough thoughtful elements to the car to warrant a pleasing ownership proposition, even though I wonder about the real validity of installing a fluorescent green ice-scraper within the petrol fuel flap. 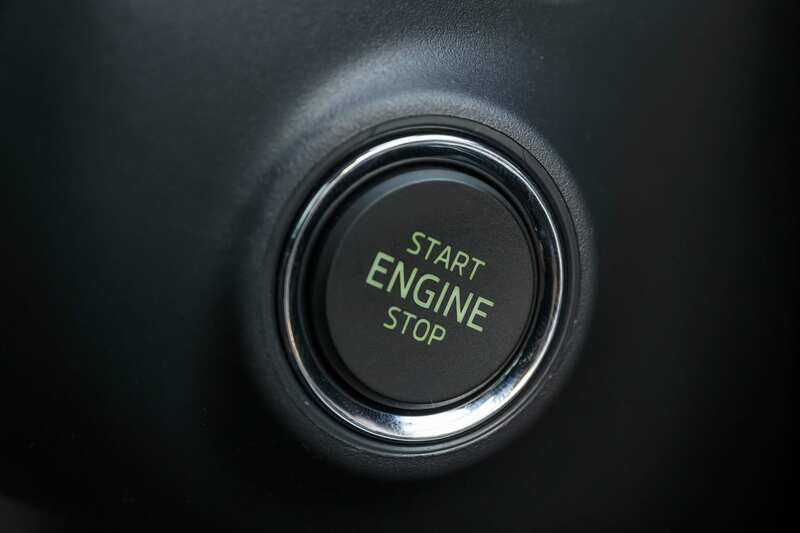 The shopping bag hooks in the spacious boot are useful, while the pushbutton ’start’, located where the ignition key might ordinarily be inserted is an unusual placement, as most carmakers site that device on the dashboard. As with the previous generation Fabia, a number of factory paint and detail personalisation, extra-cost options are available. 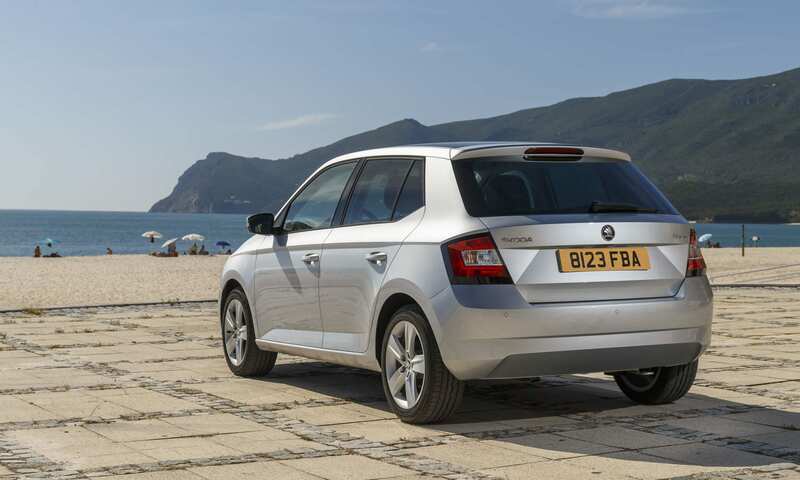 However, the previous ‘affordability’ aspect of the Fabia has now been lost completely. Tagged at a whopping £16,240, plus enough minor options to whisk it to £17,375, much like the Ford Fiesta, the new Fabia is starting to price itself out of the budget sector, which is very unfortunate, because those aforementioned aspects, of which I am not so keen, only serve to highlight that the new Fabia does not offer the value-for-money appeal of its forebears. While I understand that carmakers need to make profits to survive, ‘profiteering’ is among my least favourite words and, unless Skoda starts to adopt a more befitting high quality remit, I am afraid that its sales expectations might suffer. Conclusion: The new Skoda Fabia is a very good, compact hatchback. It is comfortable, roomy and dynamically excellent. However, its trim detailing lacks forethought and commitment, while not being of high enough merchantable quality to warrant such a hefty price tag. Somebody needs to shake up the company, to make it appreciate its rightful place in the new car scene. The fact that a high-performance variant is not even on the cards is the final nail in its coffin. It’s good…just not that good!